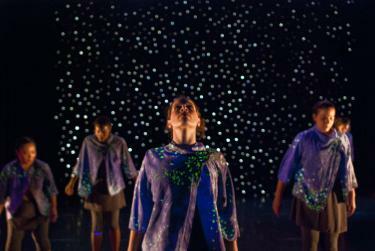 alight dance theater will create a fantastical and mythical dance work exploring the under-considered culture and belief in fairy lore. Faerie – referencing the world in which fairies inhabit – will examine the prevalence of fairies, their connection with humans and common misconceptions of both types of creatures. In a realm of “in-between,” existing alongside our version of reality, fairies and humans encounter one another. Employing the magic of imagination and storytelling, Faerie will inform contemporary perspectives on a range of themes including the power of belief, the struggle of human control, identity shaping and unpacking identity-related stereotypes.